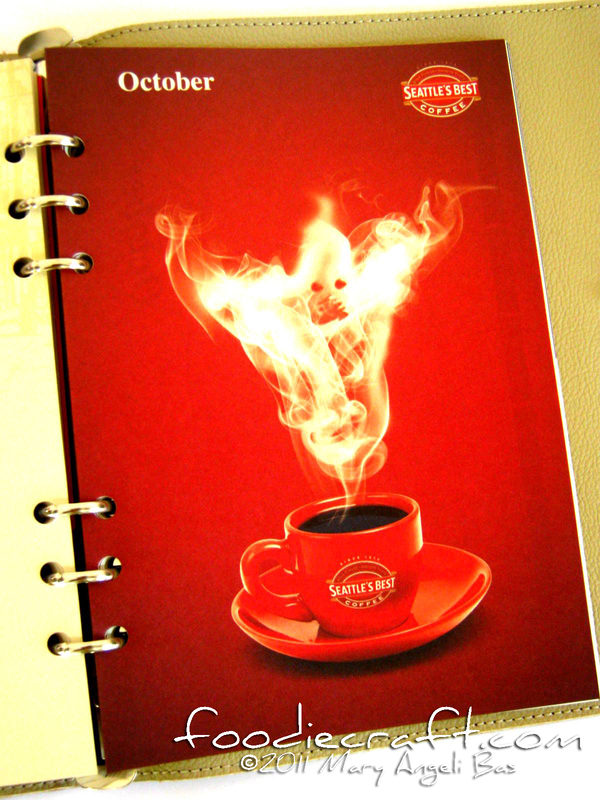 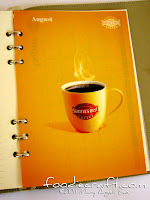 The Seattle's Best Coffee 2012 Planner is now out. It comes with a preponderant look that suits students, artisans, and professionals. 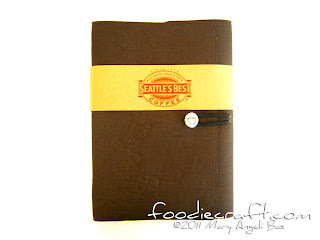 There are 4 cover colors to choose from; Brown, Green, Black, and Violet. 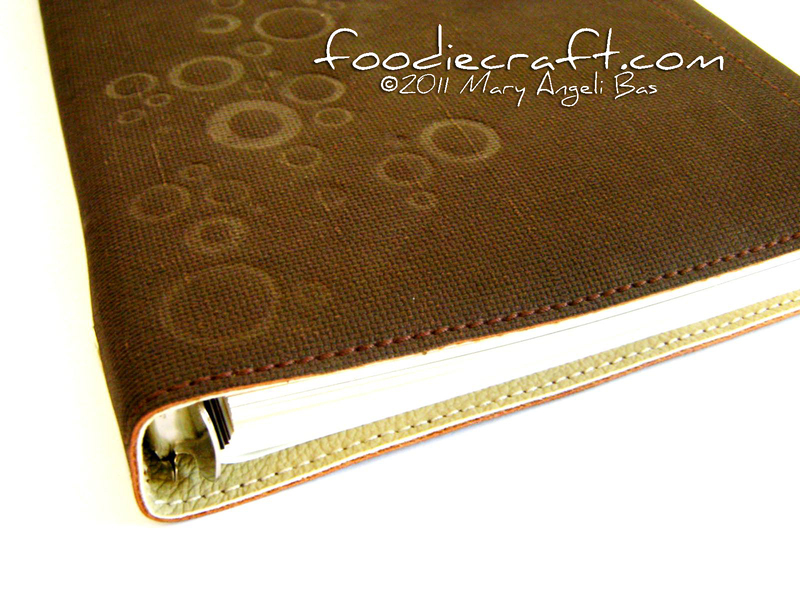 The cover is sleek -fine fabric concealing the pages in the outside and leather/rubber in the inside. 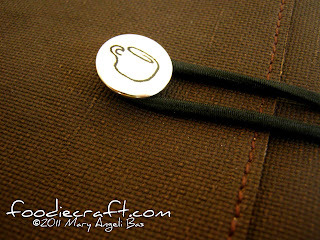 A shiny metal button is stationed near the left rim that pairs with an elastic loop found near the right end of the journal. Random circles are somewhat embossed and the others engraved on the fabric cover. They represent the bubbles of a freshly brewed coffee. 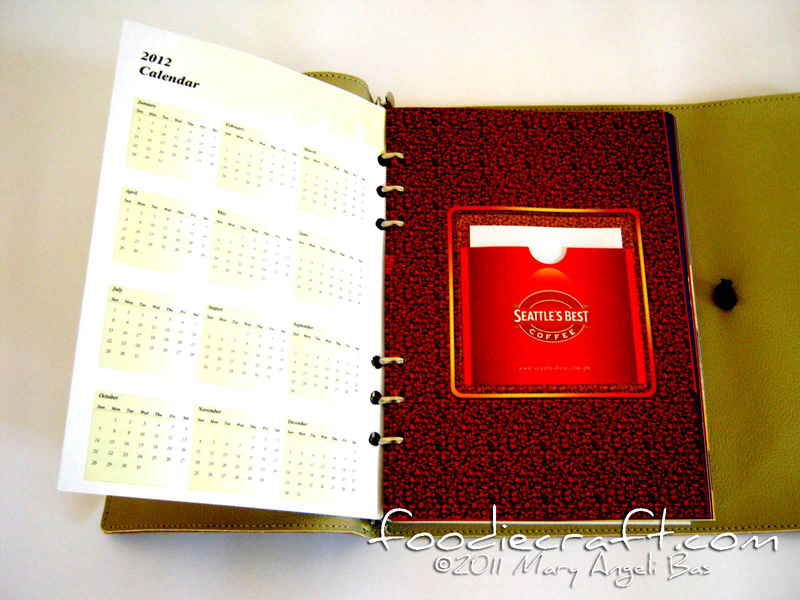 The pages of the planner are bound by metal rings that make it very reusable and refillable. 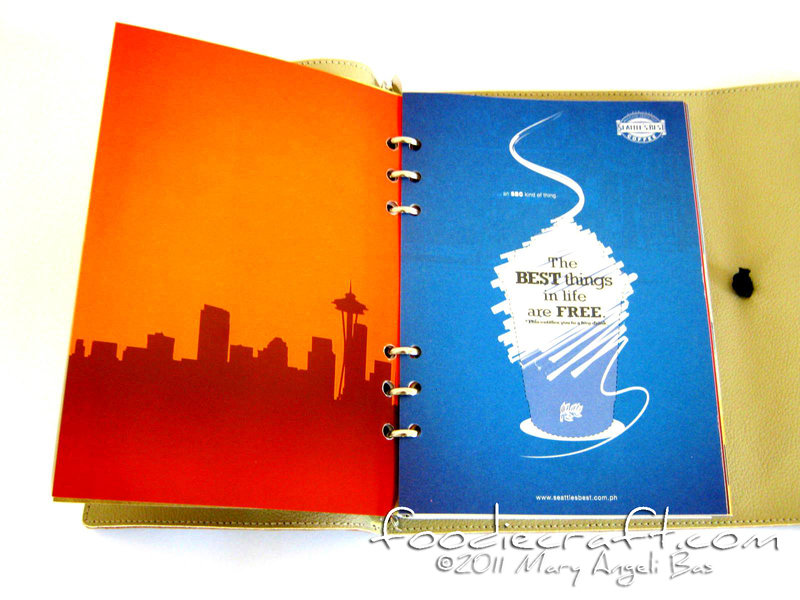 The first page defines how things go at Seattle's Best Coffee (SBC). 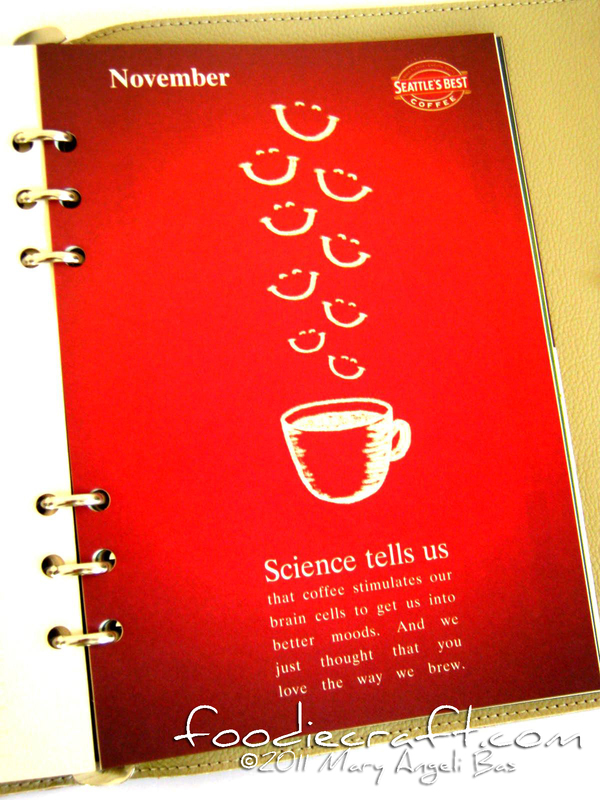 A short statement voices out the passion of its team when it comes to coffee-making. 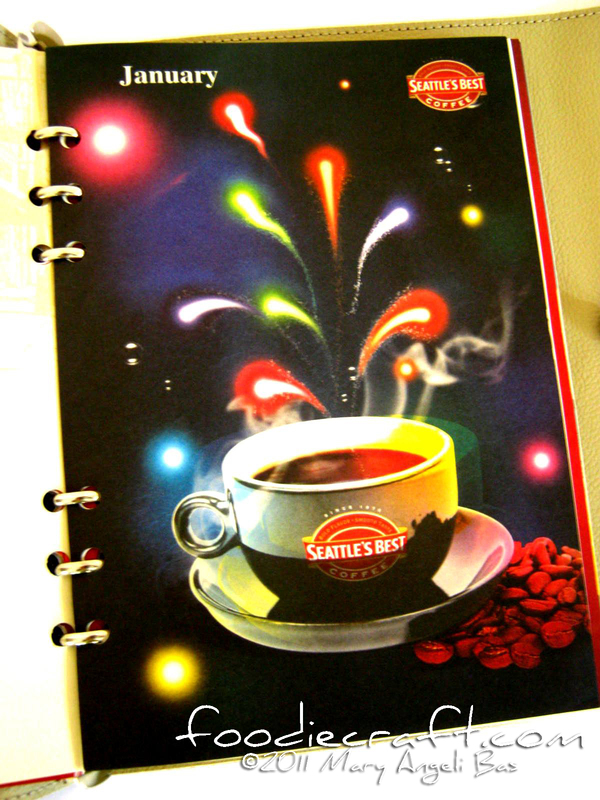 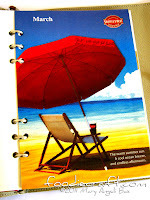 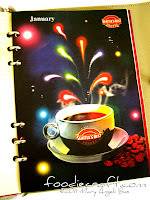 The next page displays the 2012 calendar which is fundamentally found in all planners. Beside the calendar is a small pocket that contains a mini SBC pad paper. 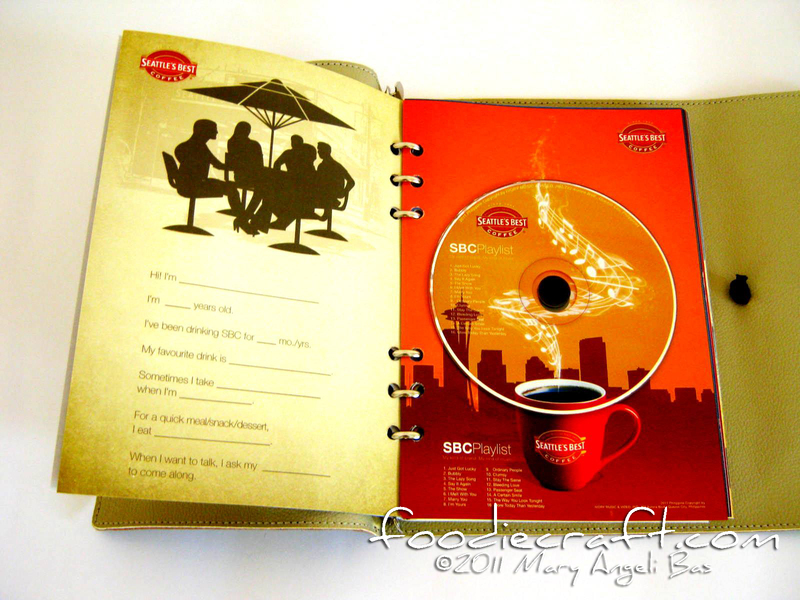 Each planner comes with a compact disk (cd) consisting SBC Playlist -16 of your favorite tracks played in the shop; "Just Got Lucky" for the elders, "The Lazy Song" for the teens, "The Show" for the young, to name a few. 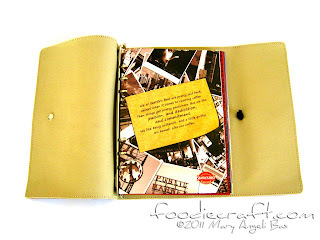 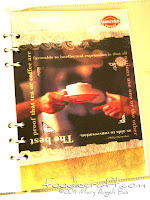 The next page welcomes the bearer of the journal the world of freebies. 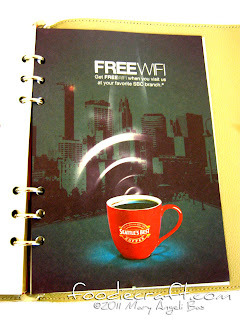 A coupon is attached where unlike other coffee shops, you have to purchase a required beverage to get another one free. 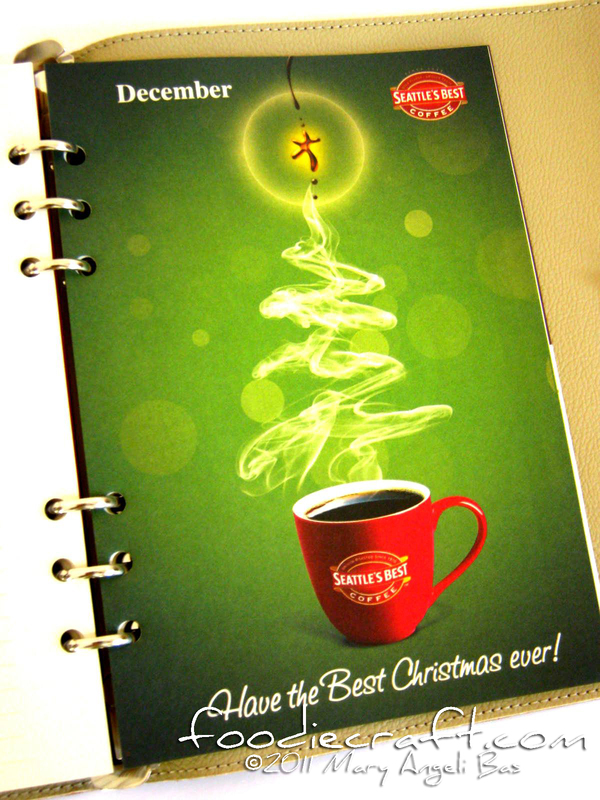 At SBC, you can have a drink through the coupon without buying anything. 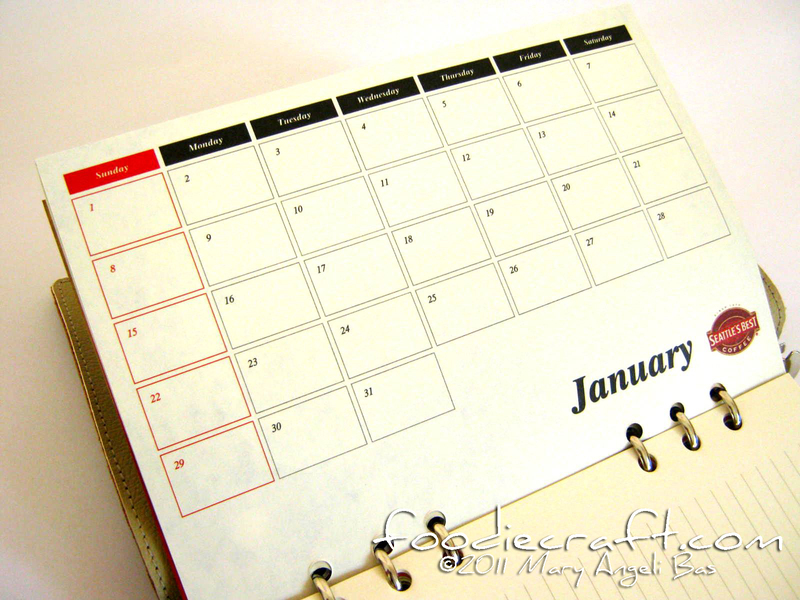 Here we have the look of a blank calendar where one can get an overview of what already happened, is happening and is about to happen. 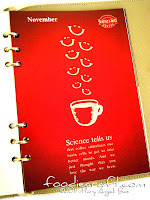 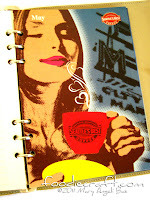 Memo planners are of big help to many people and not all journals/planner notebooks have them. The bearer of the planner will be greeted by cozy illustrations month after month. 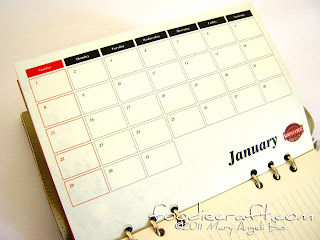 They all personify the spirit of each highlights of the month. 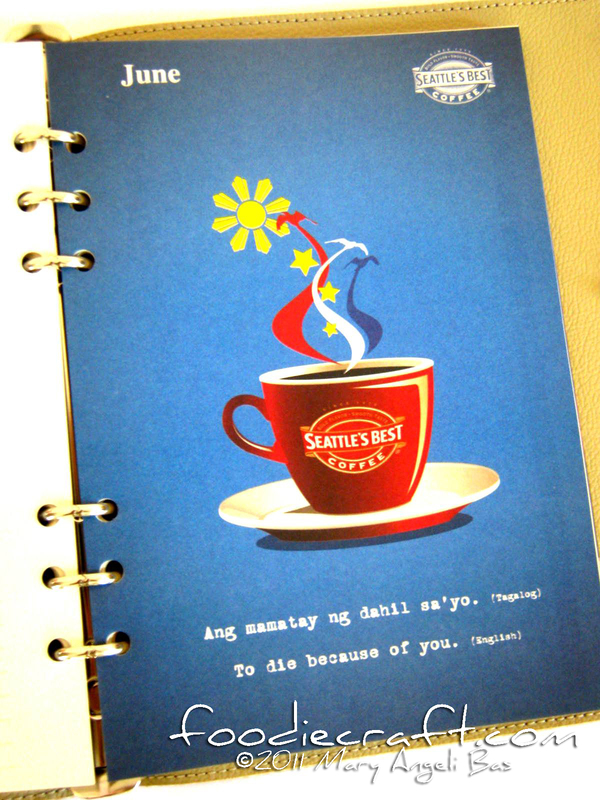 There are random quotations and drawings in some of the planner's pages that won't make you get enough of it. 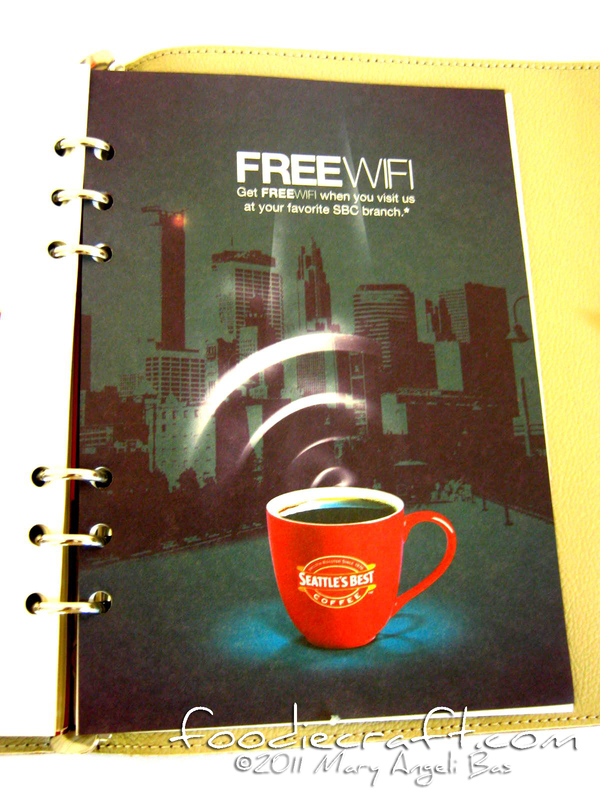 By the last pages of the planner, you'll be able to find a FreeWIFI page that gives the bearer free 24 hours Wifi usage. 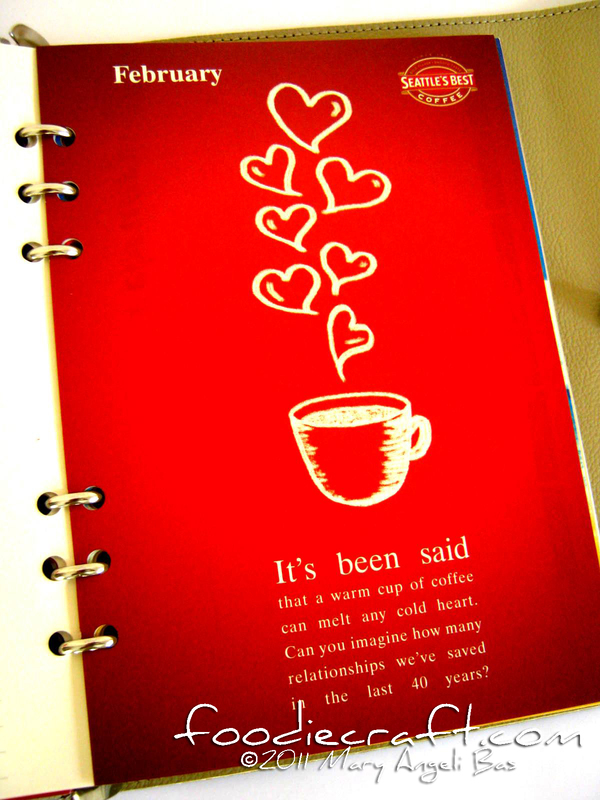 Isn't that great?! 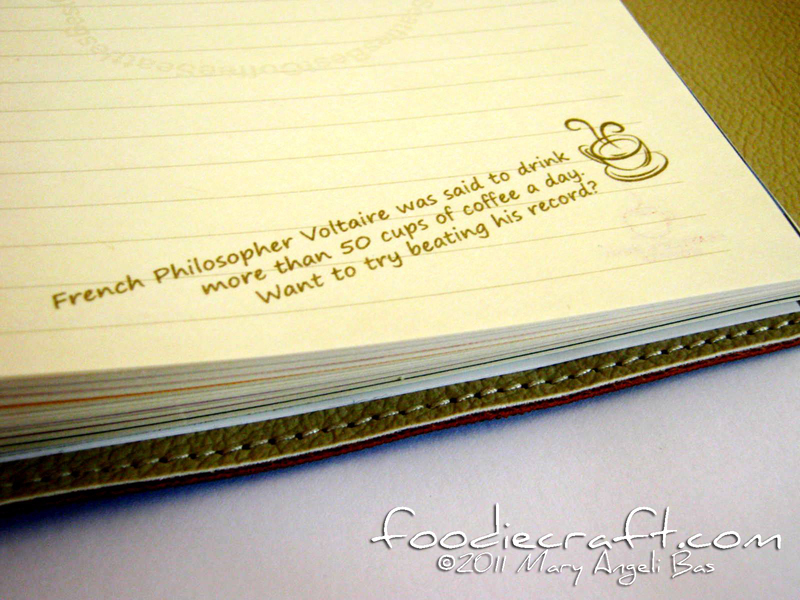 Tap that on other planners! Another page graces the bearer with sets of coupons to enjoy. 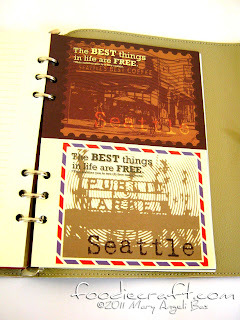 Truly, as for SBC "The best things in life are for free". 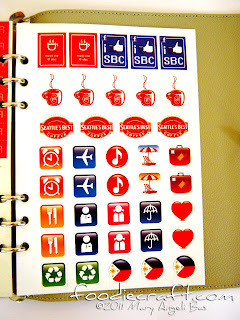 The last portion allows you to display your love for SBC -stickers! 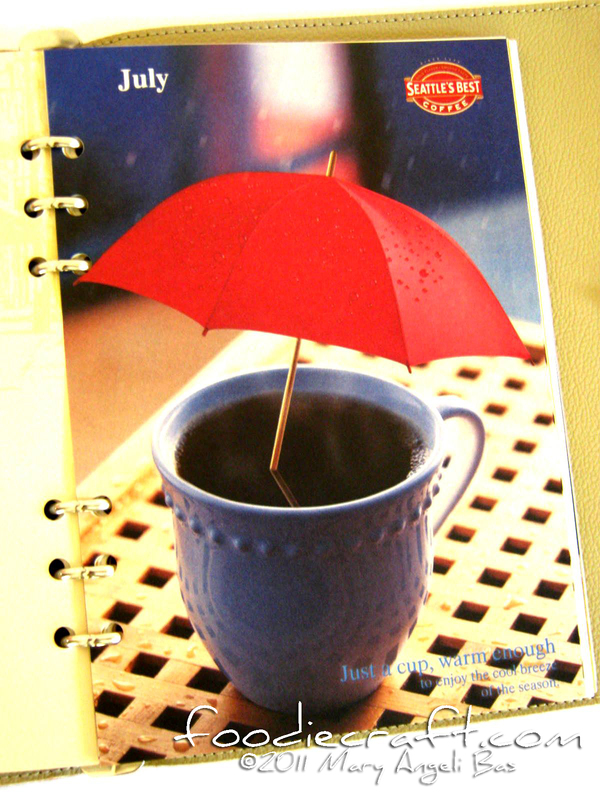 This planner makes you ready all the time. It has almost everything you need in note-taking and fun writing. 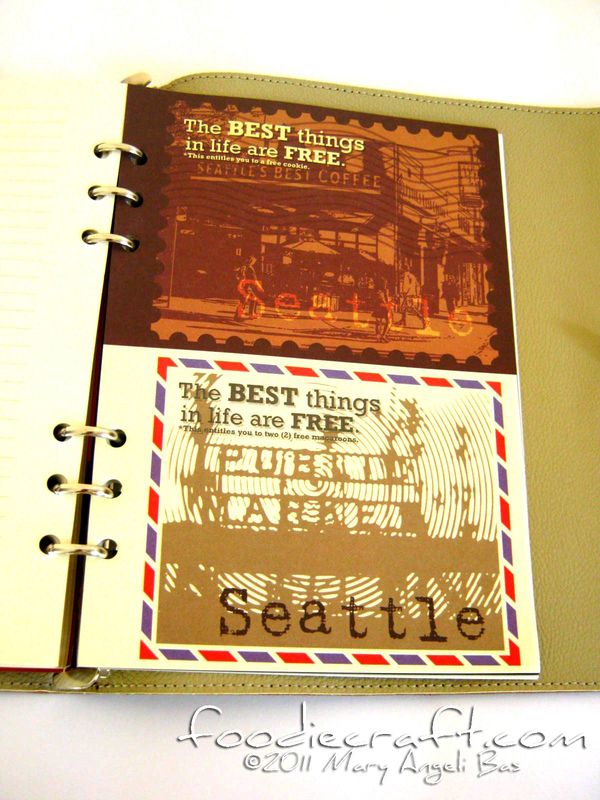 With just the padpaper, monthly coupons, wifi access, stickers- is there anything else that will make you not grab your very own? 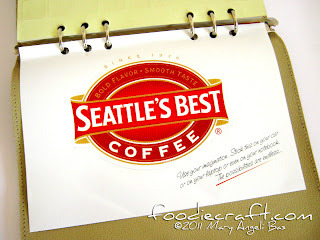 One can avail of the Seattle's Best Coffee Dream Card from October 22, 2011 to January 22, 2012. 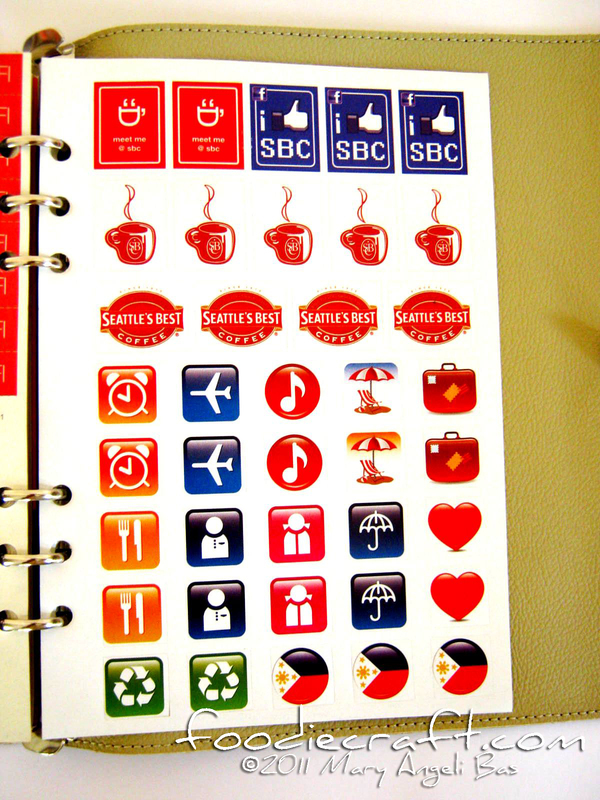 A cardholder must accumulate 18 stickers to redeem one SBC Journal. 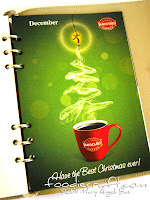 The 18 stickers must be composed of 8 holiday drink stickers and 10 regular drink (excluding bottled drinks and water) stickers. Don't end the year without having your very own Seattle's Best Coffee 2012 Planner. 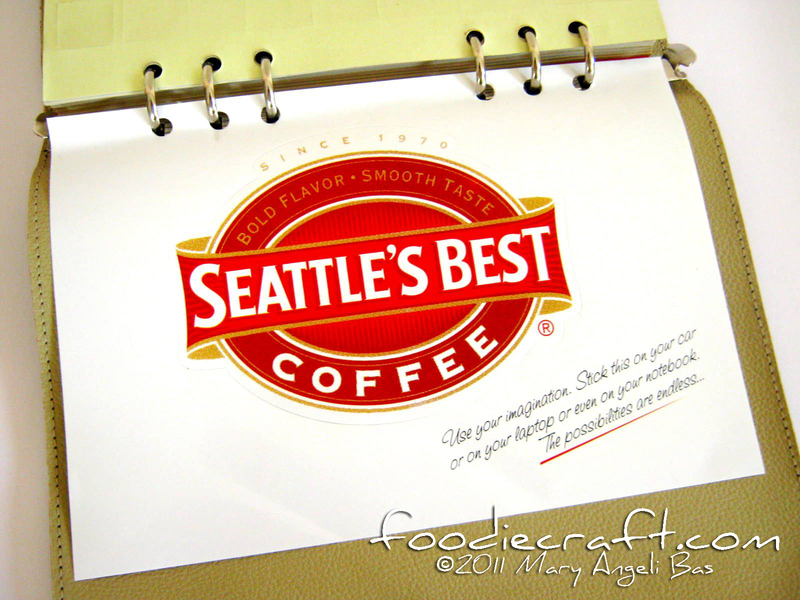 Visit your nearest Seattle's Best Coffee now. Hanggang kelan po ang promo ng SBC? 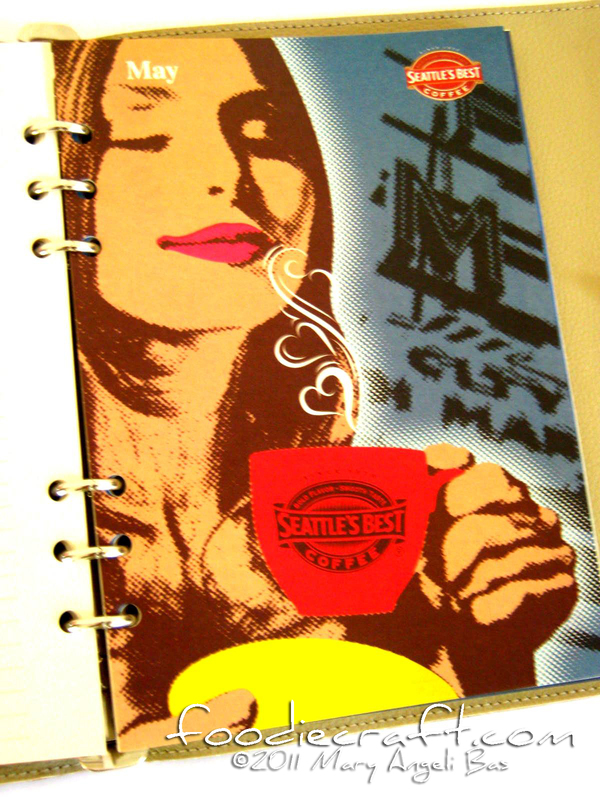 the most awesome planner by far.. is this their first Lei? Argh! 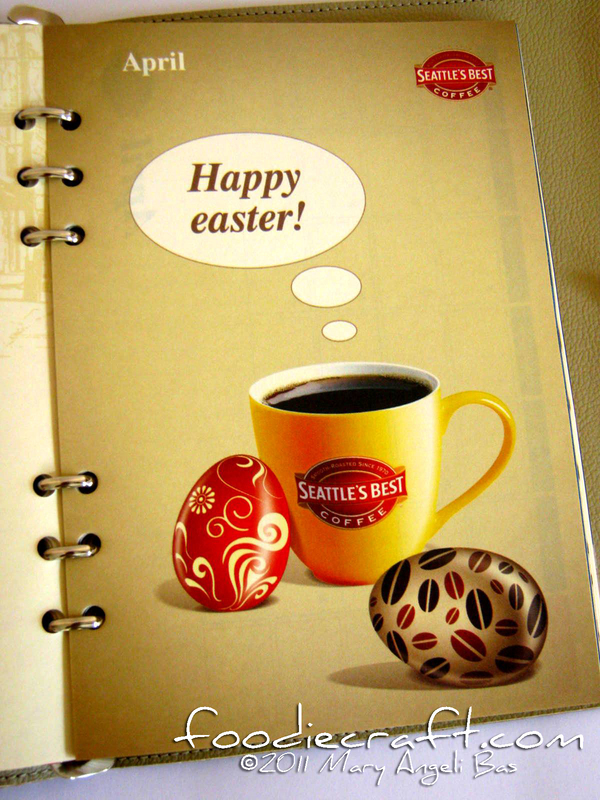 I loooove SB, but there's none anymore in my area (Eastwood). 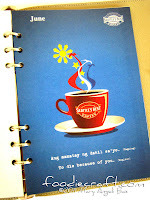 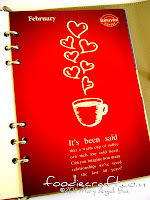 I didn't know about this planner :( I still wish I could get one.